Looking for a mid-range smartphone with up to date features and an exclusive design? Lava X series offers all of the above requirements at an incredibly attractive price tag. Lava released the X series as a premium range at a not so premium price. The Lava X28 Plus is one such smartphone in this series. The device offers a lot of features that act as plus points and drag you towards the device. The device offers you a good processor, large battery backup, wide display, and all this at a surprisingly affordable price. The device also supports 4G VoLTE and offers you the freedom to enjoy the high-speed internet. 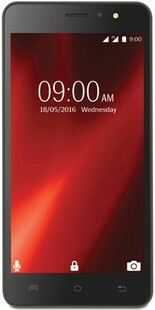 The X28 Plus features a 5.5-inch IPS LCD display at a screen resolution of 720 x 1280 pixels and pixel density of 267 ppi. The device has a thickness of just 8.9mm and weighs 174 grams. It is available in Black and Gold color variants. The device is boots on a 1.3GHz Quad-core processor coupled with 1GB RAM. Booting on Android 6.0 Marshmallow, the above combination makes the configuration of the device brilliant and super smooth. The device will not disappoint you when it comes to the storage. The internal memory of the device is massive 8GB that is further expandable up to 32GB via a microSD card. All in all users will have enough storage to store decent amount of files and games. The device is equipped with an 8MP primary camera and has supporting features like LED Flash and digital zoom. On the front, the device has a 5MP snapper with LED Flash to give good selfie experience even in dark. The device also features different modes and to support them it has options like Face Detection, Auto Flash, and Touch to Focus. The device derives its energy from a 2600mAH Li-ion Battery. The company claims, the device offers 14.2 operating hours on 3G and up to 15.2 in 2G. The connectivity options are wide in range. Few of them are GPRS, EDGE, 3G, 4G, Wi-Fi, Bluetooth, GPS/A-GPS, 3.5mm jack and USB support. The Lava X28 Plus price starts at INR 5,499. Lava X28 Plus full specs and reviews as of Apr 2019. Buy it here!